I have created many PowerShell scripts for the last couple of years. All with a single purpose to automate my IT work as much as possible. But this week I needed to create a script that could be run by the users them self. 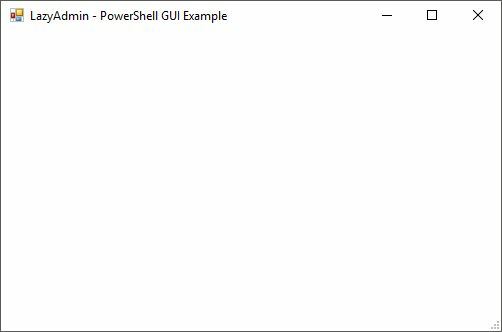 And users and command line isn’t the best combination, so let’s take a look in using the PowerShell GUI. We all love PowerShell for the simplicity and efficientness when it comes to scripting, but for normal users working with a CLI isn’t something they are used to. In this article, I will explain how you can create a simple GUI for your script and help you through the basic obstacles. In this article I will use one of my own projects as an example, so let me first tell a bit about the problem I needed to solve. I work for a construction company and our construction sites are connected over a 4G IPVPN network with the datacenter. Because of double natting, we can’t deploy printers with a print server. 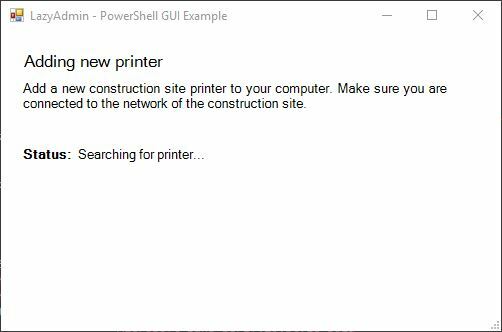 Our users can install a printer them self, but because they are not listed on the print server they can easily search for the printer. They will need to create a TCP/IP port, find the IP Address of the printer, select the driver and give a printer name. I created a PowerShell script that I could run remotely to do this in the background, but that would require them to call me, so I could run the script in the background. Now I could just install all the printers, but that would only be confusing and resulting in a long list of printers. So I figured, the PowerShell script only needs the printer model, Ip Address and a name. We can look up the Ip Address so if the user can select a model and fill in a name we are done. Saving me 2 calls a week. Before we start creating a form is it important to know that the PowerShell script is run sequentially. So you define your form and show it. But any code after you displayed the form won’t be executed until your close the form. This is something that took me 30 minutes to figure out… I simply thought I could show the form and handle the input below it in PowerShell. $LocalPrinterForm.text = "LazyAdmin - PowerShell GUI Example"
On our form, we can add elements. These can be used to display information and gather user input. The place of the input is based on points/pixels from the left side and the top side. So the location 20,50 is 20 pixels from the left side and 50 points from the top side. So let’s create some elements on our form. Add the code below to your script. Make sure that ShowDialog is at the end for your script. # Create a Title for our form. We will use a label for it. $Titel.text = "Adding new printer"
$Description.text = "Add a new construction site printer to your computer. Make sure you are connected to the network of the construction site." $PrinterFound.text = "Searching for printer..."
What you see here is that every element is created. These are all simple text or labels elements. You can define the width and height of each element, but if your content is longer then the element it will only be partially displayed. So by setting the Autosize to true, you are assured that the user can read the whole label. Every element is given a location, the first digit is the number of pixels from the left side, the second the number of pixels from the top. Our user needs to select the printer manufacturer, we only use two brands, so I radio button could work too. We use generic print drivers so I don’t need to know the specific model of the printer. The code above it pretty clear I think, we create the combobox and add the items with a single line foreach loop to the list. Again we also define the position and I have set a minimum width for the element. You can set a default value for your dropdown list by selecting the index. Make sure you add the variable of the element to the $LocalPrinterForm.controls.AddRange, otherwise it won’t be displayed. OK, Cancel, Abort, Retry, Ignore, Yes, or No) or you can assign a custom function to it. Now a lot of example on other websites discard the results of the dialog by using [void]$form.ShowDialog(). But the return value of the dialog should be used to tell how the user has closed the form. So we are going to modify the ShowDialog cmd. Now we only have to finish our script so a printer is added. So with our form in place, we can start with adding the logic. During the execution of your script, you might want to change text, show or remove fields or perform a specific action. Lets first start with outlining our PowerShell script. In your functions or script section you might want to give some feedback to the user or use the data from the input fields. Reading data from the textbox is pretty straight forward. 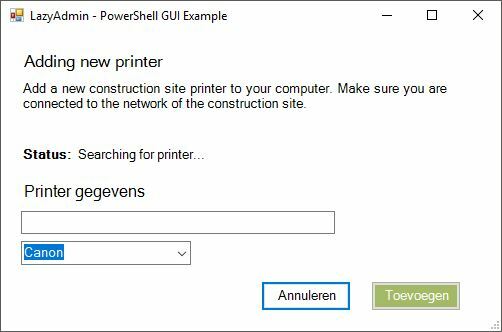 In our example, we want to use the name the users have entered and check if the printer name already exists. If the name exists we want to show an error. In the example above we check the given printer name, if it exist we change the font color of the label “PrinterStatus” to red and change the text of the label to show a message to the users. There is no need to refresh the form or input, your can just change the text as you go. Before the form is loaded I check if there is a printer available on the expected network address. If not then there is no need for the user to continue. So when I initialize the form elements I have hidden some elements. Creating a bigger or complex form from the command line only can be a bit challenging. You will have to position all the elements on the correct place, create all the necessary code. Luckily there is an online PowerShell GUI editor PoshGUI. This is a great tool to create your initial form layout. You can download the PS1 file and continue working on your form in your favorite editor. 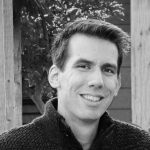 So I hope this article helpt you to get started creating your first PowerShell form. While PowerShell isn’t really meant for creating forms, it can be a great way to make a script more usable to your user or colleagues. Subscribe to the newsletter to receive the latest article about PowerShell or Office 365 in your mailbox.